HowToAnswer.com has written a nice introductory guide showing how to get started with PasswordSafe. There are two ways that a new database can be created. 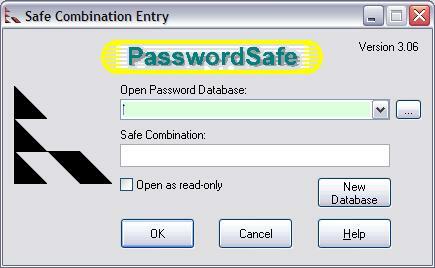 By clicking New Database from the Safe Combination Entry dialog when the program is started, or from the File > New Database menu once Password Safe has been opened. 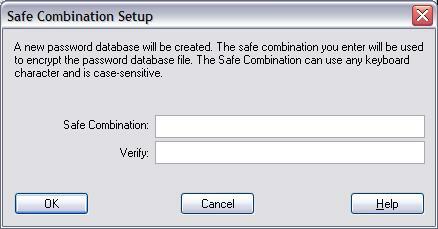 Using either method causes the Safe Combination Set Up dialog to appear. Note: By default, Password Safe will show the database last used, and displays a combination prompt for it. If you use several databases, you can choose between them using the drop-down list. Alternately, you can type in the path to the database to open, or select it from a File dialog box by pressing on the ellipsis ("...") button. Once a database is open, you can change to another via the Open Database command from the File Menu. and then Paste the user name into the desired field. and then Paste the password into the desired field. Note: User names and passwords can also be copied to clipboard through the choices located in the Edit menu, but let's be honest, that's far too much clicking.